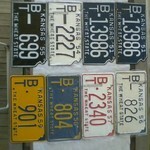 I have many Vintage Barton County car, and truck tags. 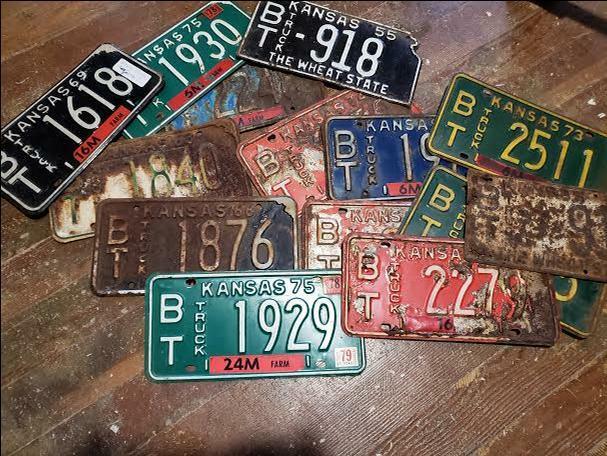 Years vary from the 30's to the 90's for sale. 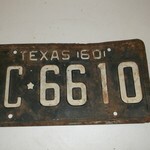 I bellieve these tags can be registered and used on your antique cars and trucks. 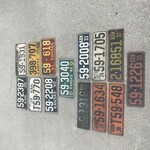 Most of the truck tags are 50's, 60's and 70's. 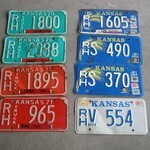 Prices vary from $10 -$20 depending on year and condition. Pictures only represent part of the tags available.